Are you confused about the technical words nutrition companies use to describe the functionality of their products? What’s the difference between a Hydration Drink, an Energy Drink and an Energy Gel – they’re all liquids, but how do they differ in their purpose? During intense endurance exercise, the two main factors that will lead to fatigue are chronic carbohydrate depletion, otherwise referred to as ‘bonking’ by cyclists or ‘hitting the wall’ by runners and dehydration, which is exactly as it sounds – losing too much fluid from the body through perspiration. It is therefore of paramount interest to any athlete or physically active person to maintain one’s state of hydration, whilst taking on board enough fuel to avoid the dreaded bonk. If you think bonking is a pleasurable experience in the arena of endurance sport, think again – type ‘bonking and endurance’ into google if you don’t know what it is already, it’s really quite unpleasant! Intense endurance and interval-based exercise sessions under an hour in duration tend not to require an external fuel source (technically called ‘exogenous carbohydrate’) as your muscles and liver will comfortably store adequate ‘endogenous’ carbohydrate to perform. That said, in order to perform at high intensity without the aid of fuelling products, you will need to be well rested and have consumed a diet rich in carbohydrate leading up to your session. If you start these sessions in a carbohydrate depleted state, you could easily bonk within the hour and in this instance, taking on board some exogenous carbohydrate would certainly help. Let’s assume that you’re fresh and your internal endogenous carbohydrate stores are full, so your fuelling is already taken care of. This addresses one part of the jigsaw, but it doesn’t mean that your hydration is covered, and since your performance and personal safety are at risk if you don’t address your fluid and electrolyte intake, you should be using a product designed with hydration in mind. Take a look at the graph below showing how physiological performance drops significantly the more dehydrated we become. We will refer back to this scenario shortly and make recommendations. You may be able to get away with avoiding taking on exogenous fuel sources for up to 80 minutes, but to be on the safe side, we recommend the watershed being 1 hour, because bonking or hitting the wall has a debilitating effect on performance and the amount of endogenous carbohydrate you have on board can vary depending on a number of factors including your diet preceding the exercise bout, as we’ve just mentioned, and how much you’ve been exercising recently – both could leave you with lower than usual endogenous stores. During these longer duration scenarios, fuelling needs tend to stay fairly constant at an intake of 60-90grams of carbohydrate per hour if using TORQ products, but hydration on the other hand will vary hugely depending on your perspiration rates, or between different people. You could perform exactly the same exercise intensity for 2 hours on a cool day and need to take on far less fluid than on a warmer day. Your fuelling requirements will remain the same however, it’s just your need for hydration that changes. Understanding this flexible fluid requirement during longer endurance efforts is key to getting to grips with the terms Hypotonic, Isotonic and Hypertonic. Osmolality is the technical term used to describe the number of solutes within a solution and is measured in osmols per kilogram of solution. In the case of a performance drink like TORQ Energy Drink for instance, the solute is the carbohydrate and electrolytes that have been dissolved within the water. The more of these solutes that are dissolved into the water (so the more scoops of TORQ Energy you add to your drinks bottle) the higher the osmolality of the drink will be. Osmolality is also affected by the type of carbohydrate used, as some types of carbohydrate will increase the osmolality of a solution more than others. Maltodextrin for example, as used in TORQ products, has a very low osmolality relative to other carbohydrates. The osmolality of the drink will have an impact on how quickly the solution is absorbed into the body, so it is important when using energy or hydration products to ensure that the osmolality is optimal for the conditions you’re facing, which we will explain in detail (it really isn’t as difficult to grasp as you might think). The body regulates the osmolality of blood to around 280-290mmol per kg. This is important as when we consume an energy or hydration drink, we are looking for it to be absorbed through the membrane in the small intestine and into the blood as quickly as possible so that we can get the contents into our bloodstream to do the work it needs to do. When we refer to the osmolality of a drink relative to the blood osmolality, and the membrane in the small intestine that it passes through, we use the term ‘tonicity’. This is where the terms Hypotonic, Isotonic and Hypertonic originate from. Hypotonic refers to a drink with an osmolality of below 280mmol/kg, which is lower than that of the blood. A Hypotonic solution creates a positive gradient between the intestine and blood, which allows rapid absorption of fluid. To make a solution Hypotonic however, it has to have a low carbohydrate content to keep the osmolality low and therefore the use of a Hypotonic drink comes at the compromise of carbohydrate delivery. It may deliver a lot of fluid, but if the fluid isn’t rich in carbohydrate, it won’t do a very good job at providing the 60-90g of carbohydrate per hour needed on your longer exercise bouts. Therefore, a hypotonic solution is perfect for the high intensity exercise sessions of less than 1 hour duration which induce high perspiration rates. Use for short exercise sessions/races in the heat, or indoor training all year round like turbo training sessions or spinning classes. Hypotonic solutions offer optimal hydration with compromised fuelling. For exercise sessions fitting this description, use TORQ Hypotonic Drink. Isotonic refers to a drink that has a very similar or matched osmolality to that of the blood, so a higher solute concentration than a Hypotonic solution. Although the movement of an Isotonic solution is slower than a Hypotonic one, it will carry a lot more carbohydrate with it, so it will provide good levels of fuel for longer performances as well as a very competent hydration mechanism. The hydration mechanism is actually so good that if you’re exercising for longer than an hour, you really don’t need to worry about how you might be losing out to a hypotonic solution. The very nature of the longer exercise bouts means that they are less intense and therefore perspiration rates will be lower anyway. Therefore, an Isotonic solution is perfect for the high intensity exercise sessions that are longer than 1 hour in duration which induce high perspiration rates. They provide the perfect balance between fluid and fuel provision assisting hydration and staving off the dreaded bonk or hitting the wall! For these kinds of exercise sessions, use TORQ Energy Drink. Hypertonic refers to solution with an osmolality above 290mml/kg, which is higher than that of the blood. To absorb a Hypertonic solution the body must first draw fluid out of the blood into the small intestine to dilute the rich Hypertonic solution and create a pressure gradient for absorption. This sounds pretty severe, but it isn’t and your body has evolved to be able to handle this relatively regular task (whenever you eat anything in fact). A Hypertonic solution results in less water absorption relative to Hypotonic and Isotonic solutions, so are not good at all at hydrating the human body, but it will deliver more carbohydrate, so offers a very rich source of fuel. Therefore, a Hypertonic solution is perfect for the high intensity exercise sessions that are longer than 1 hour in duration where perspiration rates are low. These tend to be exercise bouts or races in cooler conditions where dehydration isn’t a concern, or on much longer duration efforts where the reduced intensity of exercise also reduces perspiration rates. For these kinds of exercise sessions, lean towards TORQ Gel, TORQ Bar and TORQ Chew. As much as it’s nice to categorise exercise sessions into Hypotonic, Isotonic and Hypertonic, the practical reality of fuelling and hydration whilst exercising is very different. We’ve spent all this time explaining what these different scientific terms mean, but does it actually matter? Understanding the principles of tonicity is really important for you to get the most out of your performance and understand your requirements, but the reason we invented the TORQ Fuelling System was to put to bed all the myths and confusion over products like electrolyte tablets and isotonic gels. If we strip away the marketing, what does an athlete or physically active person need to do to perform at their best? They need to be optimally hydrated and they need to be optimally fuelled, full stop. Intense exercise for less than an hour: As we’ve already said, it’s a Hypotonic regime all the way. The only time you might consider an Isotonic regime during these sessions is if you’re considering the longer game – in other words, what you have planned for tomorrow? Since it takes 48 hours of high carbohydrate eating to top up fully depleted endogenous stores, fuelling with an Isotonic drink during short intense sessions will leave you fresher for the next day and the hydrating effect should be perfectly adequate. The trade-off you would have to consider here is that if the environment was particularly perspiration-inducing, would then benefit of a hypotonic solution today outweigh the benefits of an isotonic solution in preparation for tomorrow? Your call. At the same time you will need to hydrate, because neglecting this will be similarly debilitating as your physiological and thermoregulatory mechanisms become under strain. The answer of ‘what to do’ comes purely down to your rate of perspiration. Higher perspiration rates mean greater dehydration. The more you are perspiring, the more of an Isotonic regime you will need to adopt. This means consuming more of your 60-90grams of carbohydrate per hour through Isotonic energy drinks – for arguments sake, something like TORQ Energy Drink. This is not to be confused with the phenomenon of Isotonic Gels, which do not contain sufficient fluid or electrolytes to offer any form of meaningful hydration. An Isotonic regime, created by drinking your carbohydrate calories through Isotonic drinks will provide the fluid and electrolytes you need as well as a reliable source of fuel. If perspiration rates are lower, the need for products delivering hydration become less important, but you do still need to deliver the 60-90grams of carbohydrate per hour necessary for optimal fuelling. This is where you need to aim for a Hypertonic regime by increasing your consumption of (for instance) TORQ Energy Gels combined with your Isotonic energy drink. The low volume gel will deliver energy quickly and effectively at the expense of fluid delivery, but that doesn’t matter, because you don’t need the fluid in this instance. If you were to adopt an Isotonic regime in this low perspiration environment, you would fill your bladder very quickly with excess fluid and getting off your bike or running into the undergrowth for a pee isn’t going to be ideal from a performance perspective. Please note that TORQ Energy Gels are one hypertonic option, but you could also use TORQ Energy Bars or TORQ Energy Chews. In reality, every situation is different and you may need to lean more towards an Isotonic regimen one day and more to a hypertonic regimen another and that’s why we invented the TORQ Fuelling System. 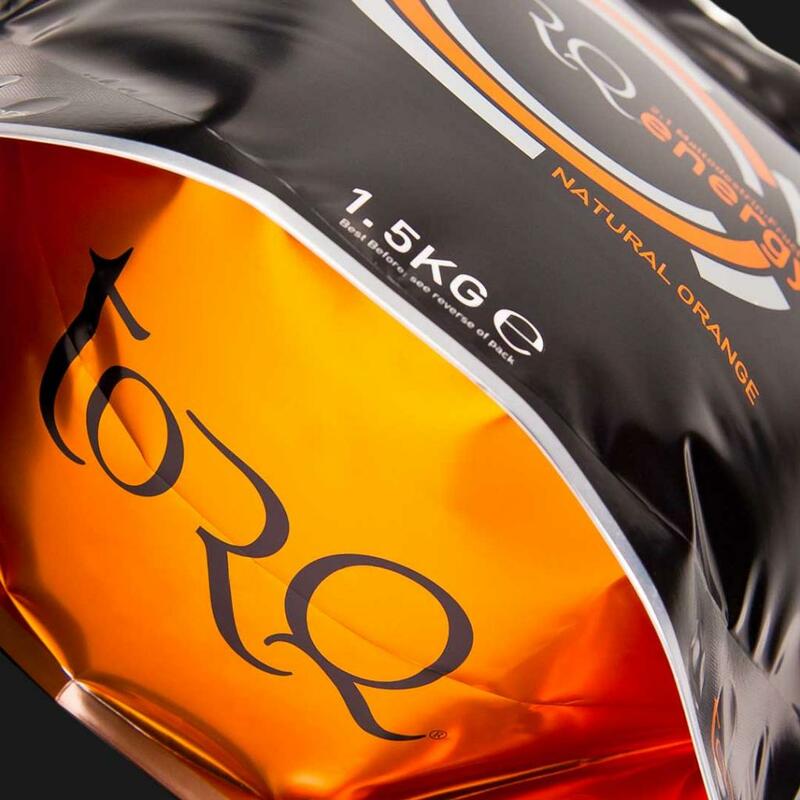 The system is very simple as all of TORQ’s fuelling products are composed of 30g units. 500ml of TORQ Energy Drink contains 30g of carbohydrate and is classified as a TORQ Unit. It’s also a 6% Isotonic carbohydrate solution. 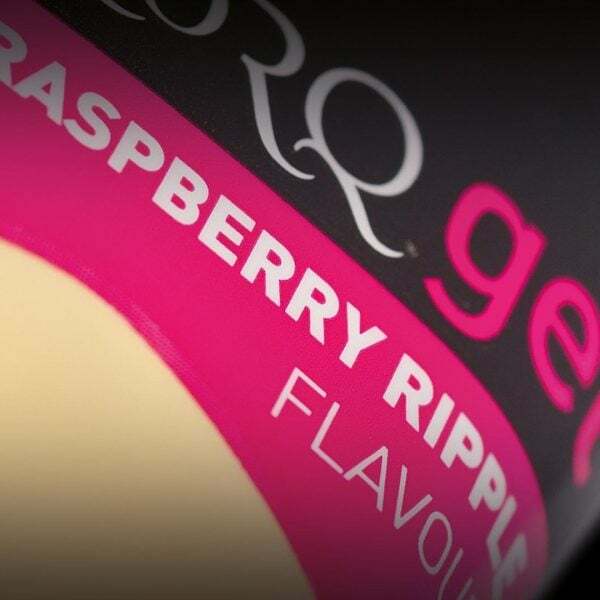 TORQ Gels, TORQ Bars and TORQ Chews are also 30g carbohydrate TORQ Units and these are all Hypertonic. The TORQ Fuelling System simply stipulates that you should consume 2-3 TORQ Units per hour for optimal endurance performance, which is 60-90grams of carbohydrate per hour. How you choose to consume your units then comes entirely down to perspiration rates – the more you perspire, the more units you drink and the less you eat. Could we have made it any simpler? TORQ Hypotonic is obviously Hypotonic in nature and contains 15grams of carbohydrate per 500ml (half a TORQ Unit) so can certainly be used in conjunction with the TORQ Fuelling System, you would just need to consume more gels, bars or chews than if you were using our Isotonic TORQ Energy Drink. You certainly couldn’t use our TORQ Hypotonic Drink purely as a fuelling product, even if temperatures were through the roof, because you would need to consume such vast amounts of it to get the fuel you need (an impossible task). What’s interesting is that if you were using TORQ Hypotonic Drink for your hydration source during a longer effort (which is perfectly reasonable by the way), when you consume a Hypertonic gel, the mix in the stomach and intestine veers towards an Isotonic regimen – you’ve made your Hypotonic drink more Isotonic, arguably slightly Hypertonic. So, this is why tonicity doesn’t really matter at the end of the day. Understand the science and listen to your body. Consume the correct amount of fuel, but choose your fuel source according to your perspiration rates. It all comes down to the fact that you need to consume 60-90grams of carbohydrate per hour regardless, but the amount of hydration you need is a variable. No one product can do this job – you have to choose your tools to suit the particular situation and the TORQ Fuelling System does this for you. For more information on Performance Hydration for exercise sessions less than an hour, click HERE. We desperately don’t want to confuse you, but there is a bit of a curve ball – a good curve ball though if that helps! When it comes to hydration, tonicity has a lot to do with how quickly you’ll hydrate as we’ve spent some time explaining. However, there is a concept called ‘Facilitated Hydration’ which accounts for the role that glucose has to play in assisting the hydration process. 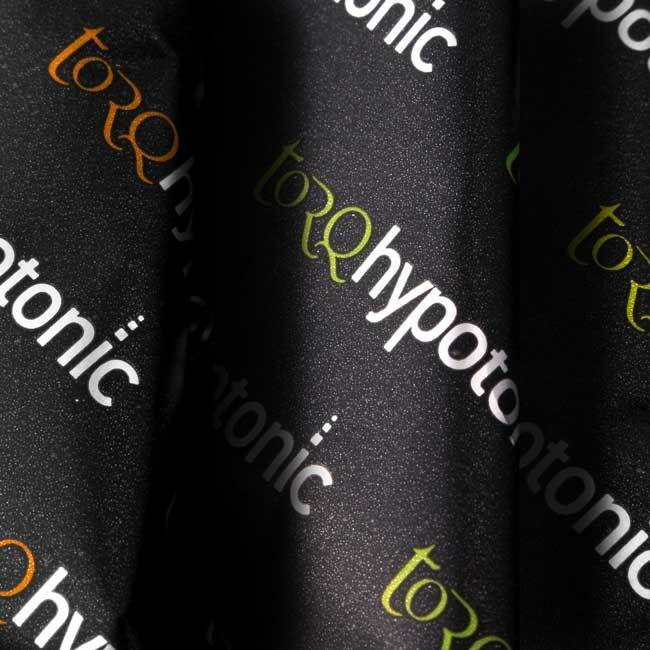 The reason we produced our TORQ Hypotonic product is because we felt strongly that if we were to produce a pure hydration product, it would need to do the job properly and we would need to communicate its purpose clearly with our customers – that it is for optimal performance in exercise sessions lasting less than an hour. We have had a well-publicised rant about the failings of electrolyte tablets in the past and we wanted to create a high performance product that becomes the go-to for anyone focussing purely on hydration. Take a look at this short advert our TORQ Hypotonic Drink, because it explains in a very short space of time how the facilitated transport process works. The part to remember is that 1 glucose molecule (with 2 sodium molecules), draws 260 water molecules across the gut wall into the blood. This also means that although a product like our TORQ Energy Drink has a higher tonicity, you will benefit significantly from the facilitated transport process because of the glucose derivatives it contains. The beauty our TORQ Hypotonic Drink is that it benefits from both low tonicity and facilitated transport, hence why we call it Performance Hydration. We hope we’ve helped you to choose the right product(s), but if you have any questions at all about this article, please don’t hesitate in emailing us at enquiries@torqfitness.co.uk or phone 0344 332 0852.